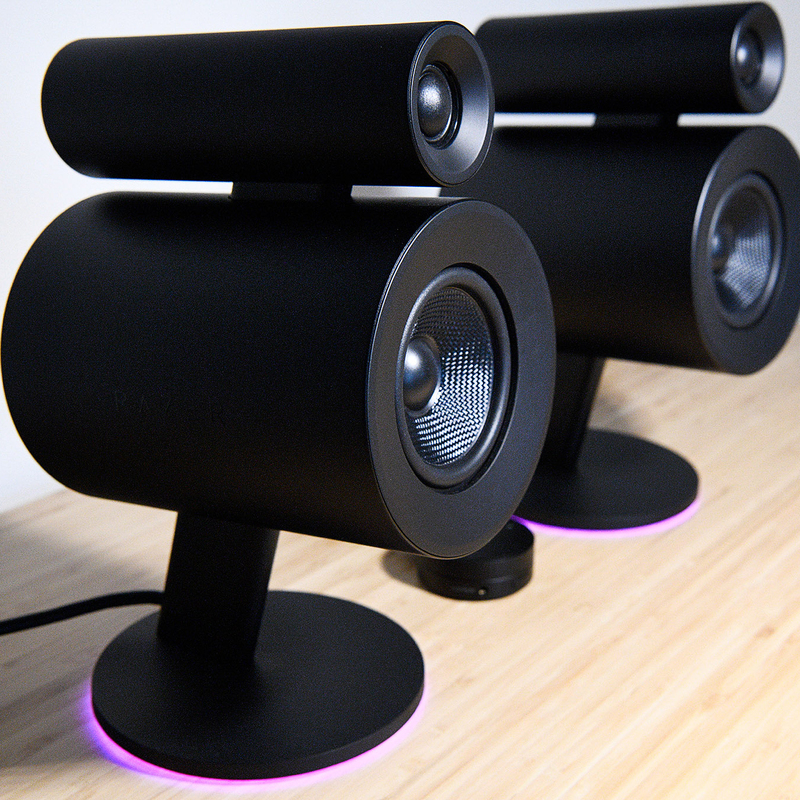 If you have a desk setup and need a pair of speakers, nearly a limitless number of stereo 2.0 speakers exist on the market. But what if you want a THX, Dolby, and stereo sound cocktail, with an added subwoofer, all in one package? 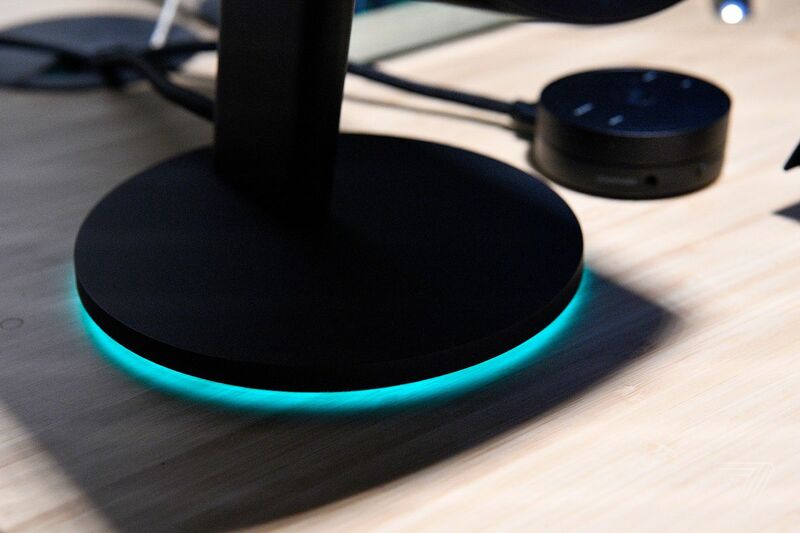 If you’re willing to spend $499 for the privilege, Razer’s Nommo Pro is for you. Here’s the thing: most gamers will invest in a pair of gaming headphones before they’d spend five bills on desktop speakers. However, despite the Nommo Pro’s position as a niche product, it’s still a 2.1 system that can serve a variety of disciplines. The Nommo Pro is one of the most versatile 2.1 systems you could put on a desk. It’s suitable for THX and Dolby-supported content, or you could ignore those features and stick with the stereo mode. Being able to drastically change the Nommo Pro’s method of playback is partly why it makes up for its more subtle software flaws. The Nommo Pro is a 2.1 speaker setup composed of two satellites and a huge, downward-firing subwoofer. Seriously, this thing is massive and it produces the bass to match. When it comes to build quality, I don’t have any issues with the Nommo Pro. Each satellite has a wide base that keeps it stabilized when playing at high volumes. You can’t adjust the satellite’s height, but you can angle them however you want by turning the whole speaker around. The attention to build quality even extends to the wires, which are thick, braided, and give me the impression that they’ll last for a long time (as they should). The Nommo Pro only comes in black and looks like an interesting mix between a security camera and a jet engine. If you look closely at the oddly shaped metal speakers, you’ll notice they’re illuminated at the base by a Chroma light ring. It’s unnecessary, but this is a Razer product after all. Thankfully, you can turn off the Chroma effects, or even sync them to your Hue lights. But you can’t use the advanced Chroma effects (like the “fire” effect) available on other Razer products, which is a bit of a letdown.